Directions: From I-70, exit at Silver Plume and head south towards the train station. 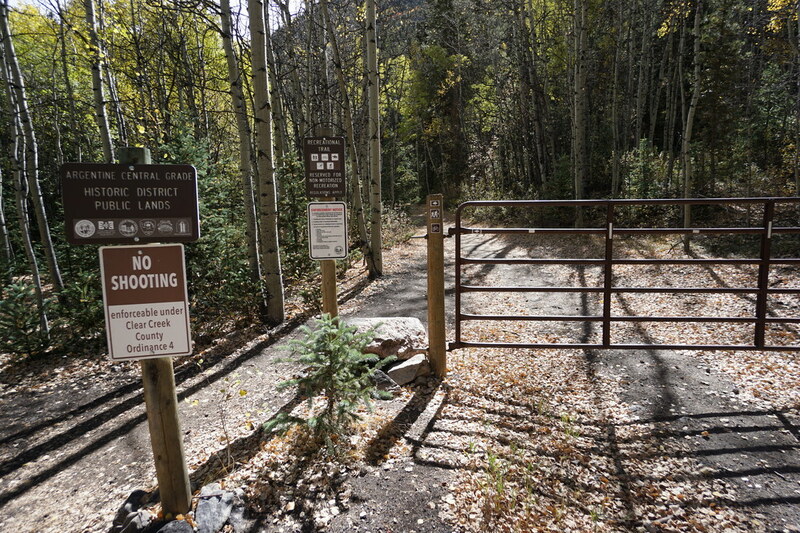 At the first junction a trail sign points to the right (west) and to a dirt road paralleling the highway. 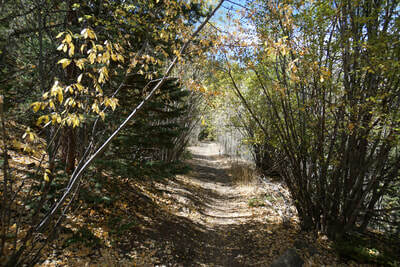 Follow this road to the end, stop at the no trespassing signs. 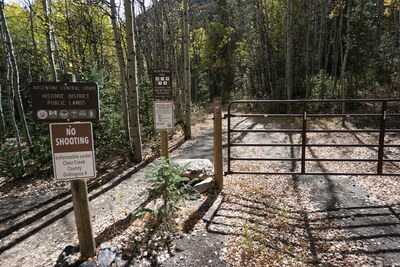 Park here, the trailhead is just around the corner. 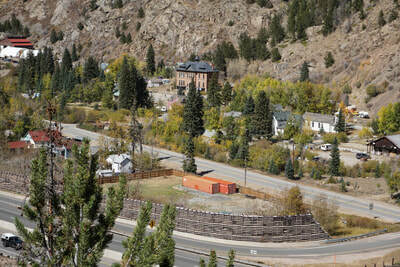 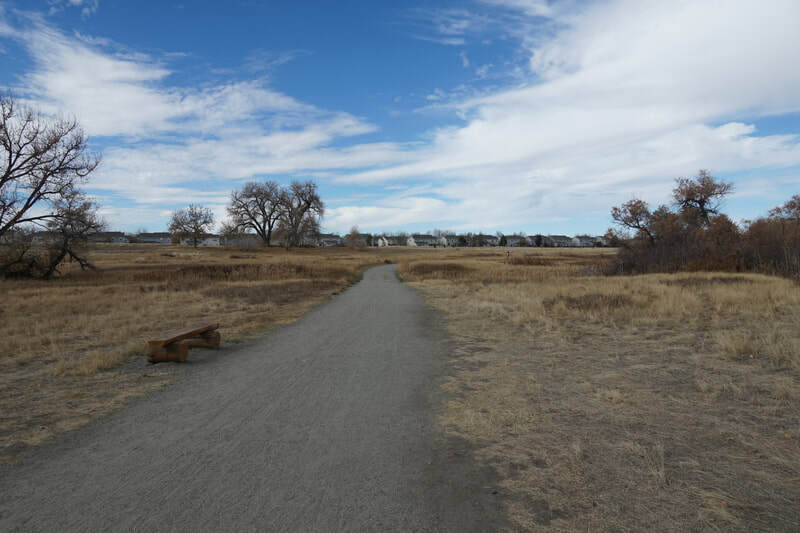 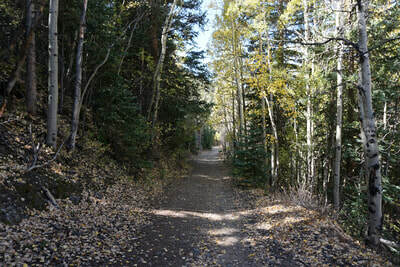 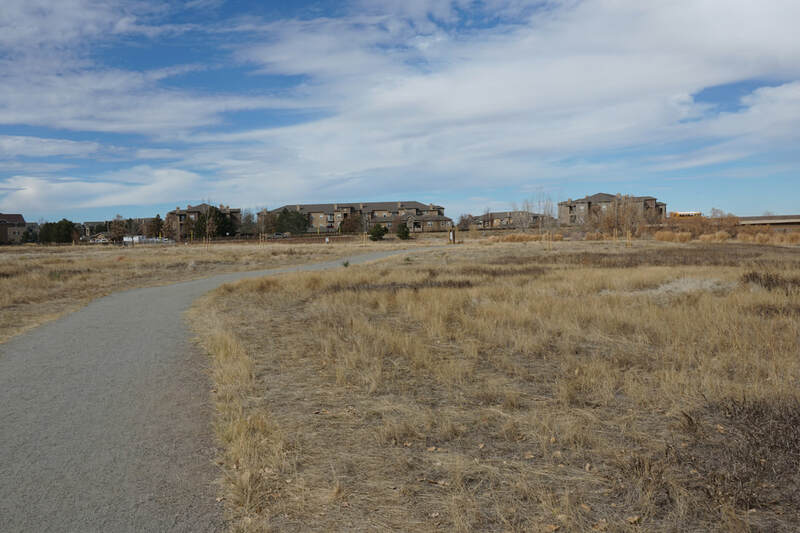 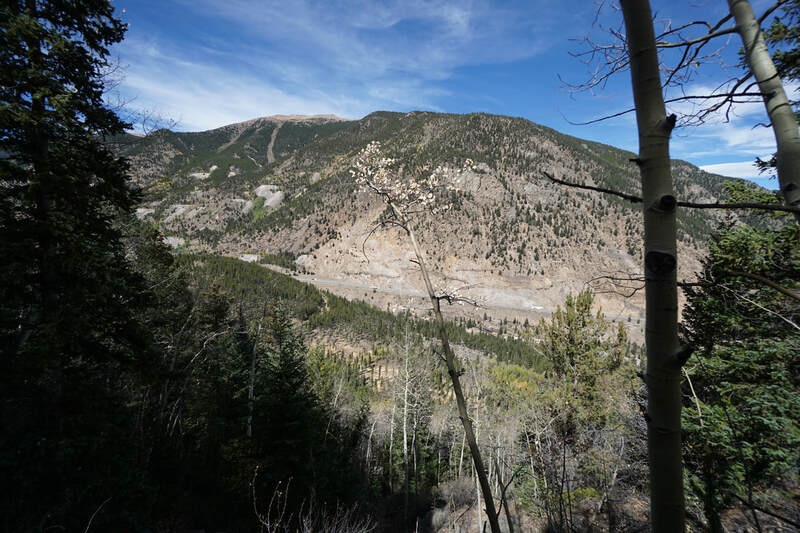 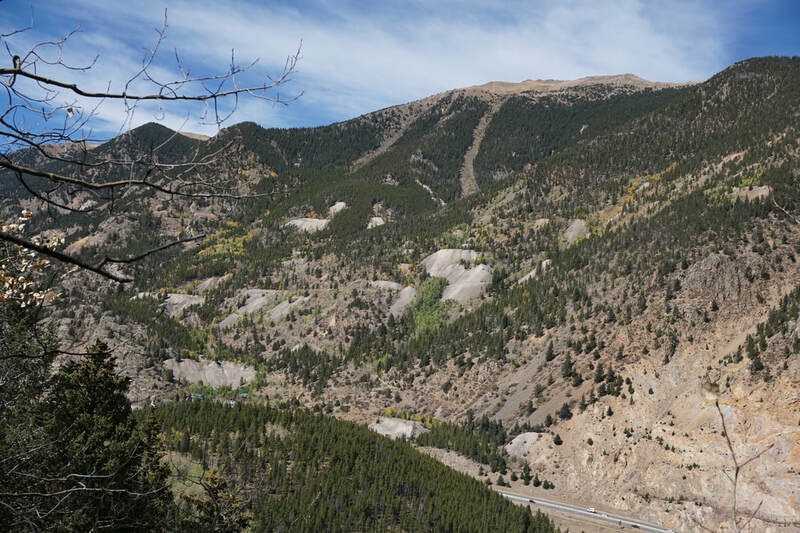 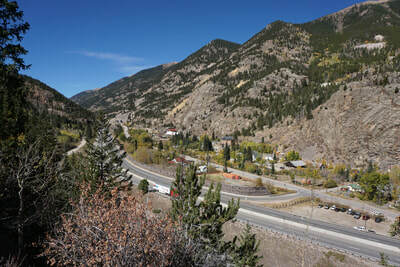 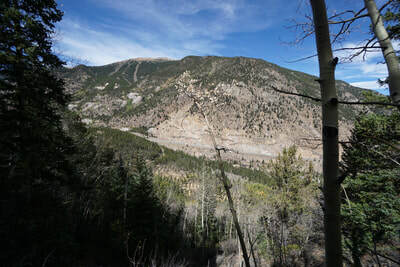 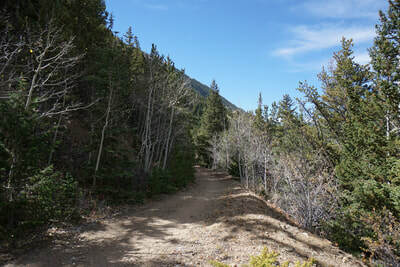 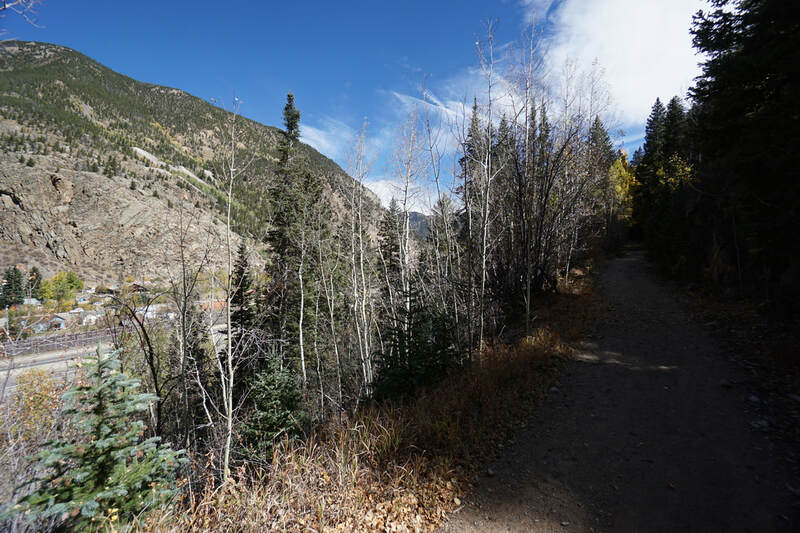 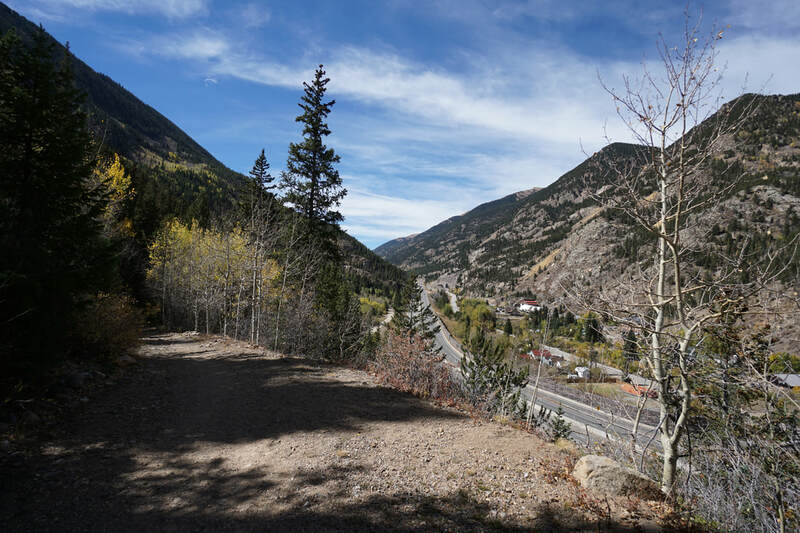 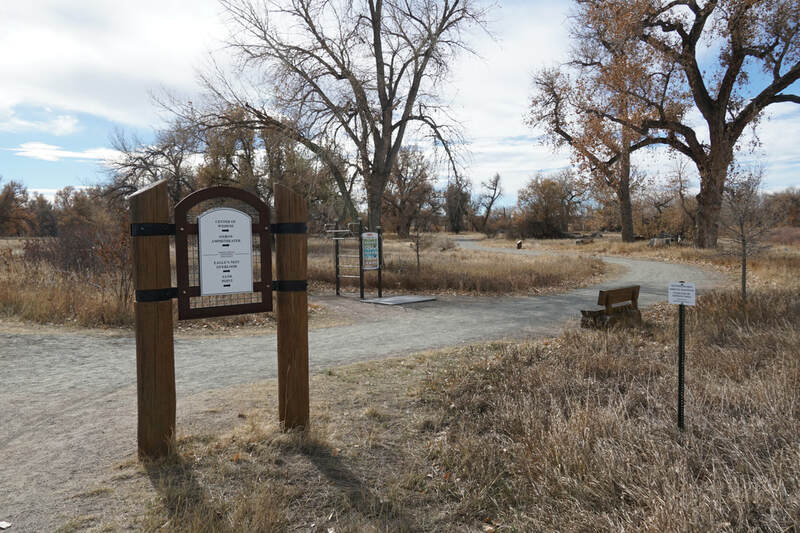 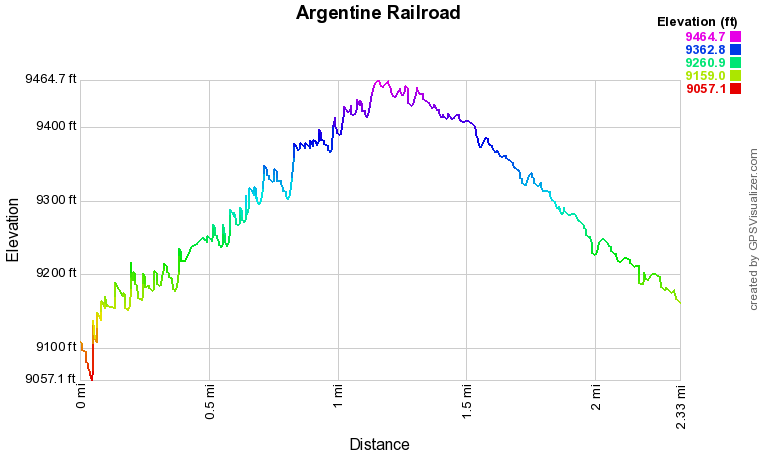 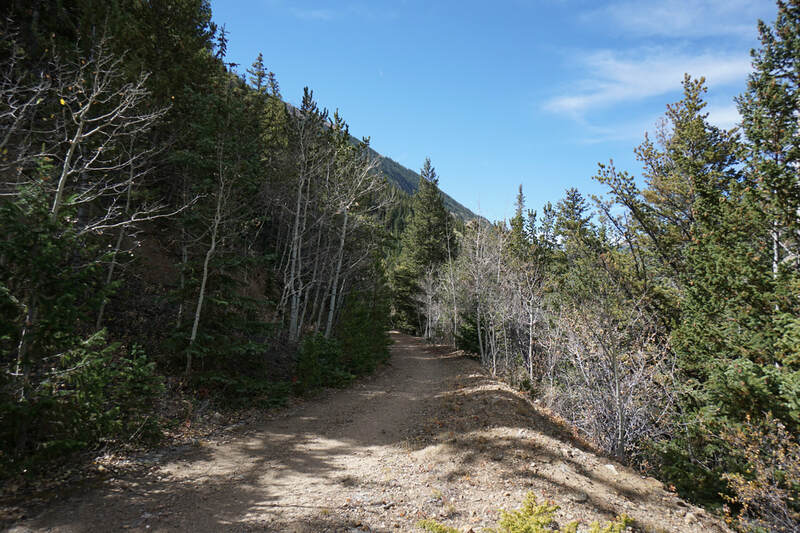 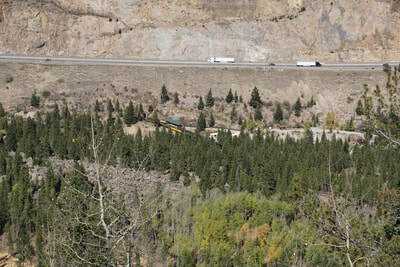 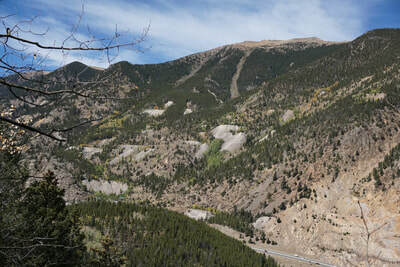 The Argentine Central Railroad Grade running above Silver Plume and Georgetown has long be abandoned and turned into a recreation trail. 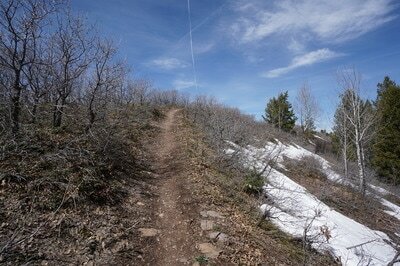 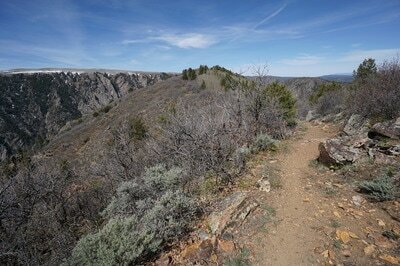 The trail leads 3 miles to Pavilion Point, overlooking Georgetown, and back down the other side of the hill. 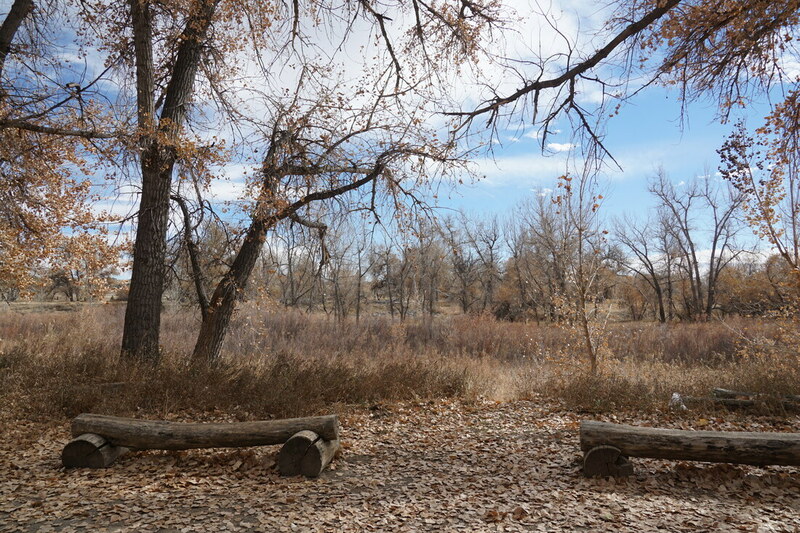 However, if you are looking for a shorter hike, or are dragging young children along the trail, there is an excellent turnaround spot 1.3 miles from the trailhead, overlooking the Georgetown station for the historic Loop Railroad. 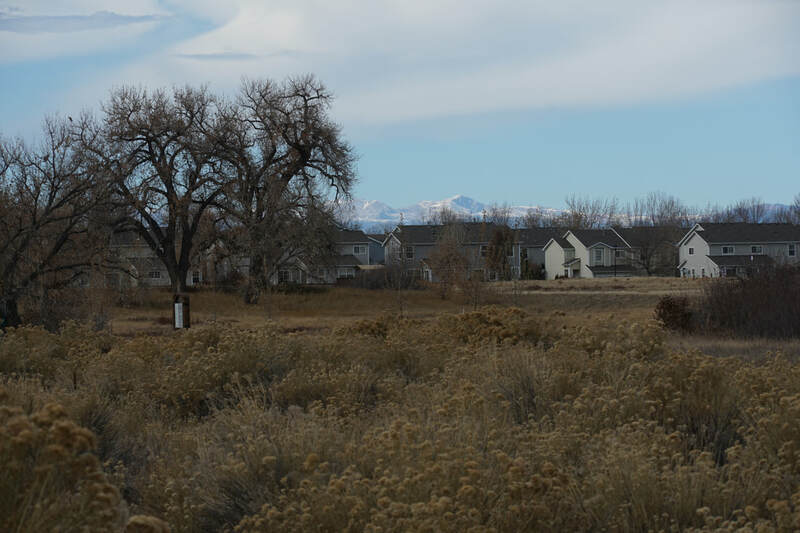 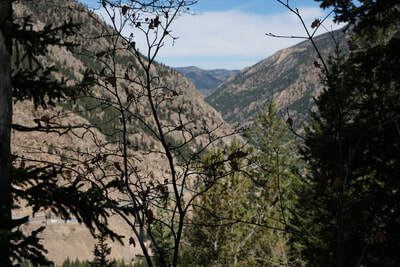 The trail climbs along the hillside at a gentle grade (hence, why it was ideal for a railroad...) and has various spots overlooking the historic town of Silver Plume and the surrounding mountains. 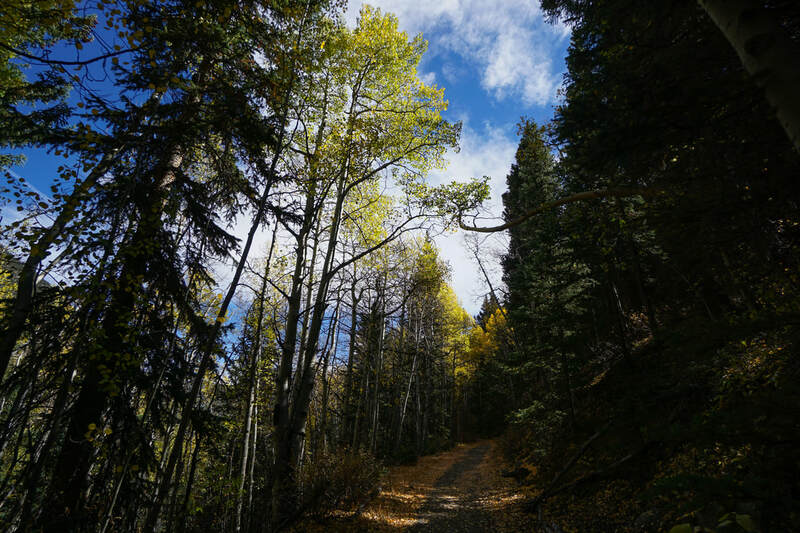 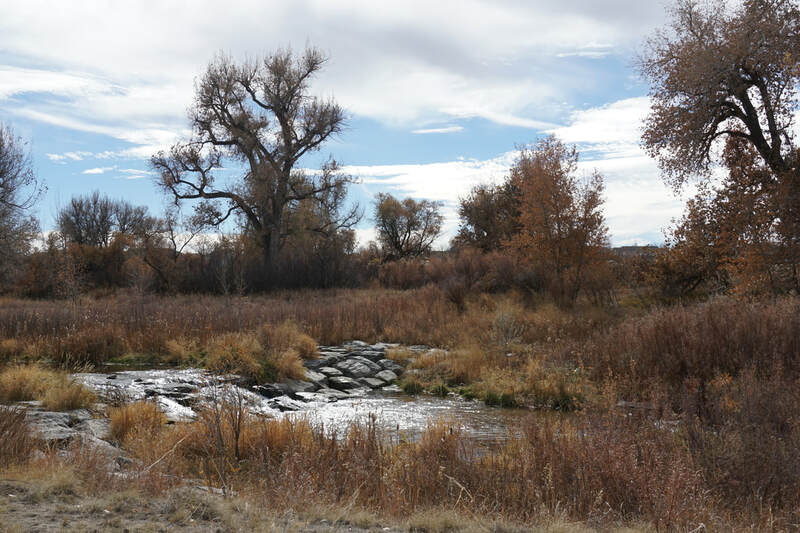 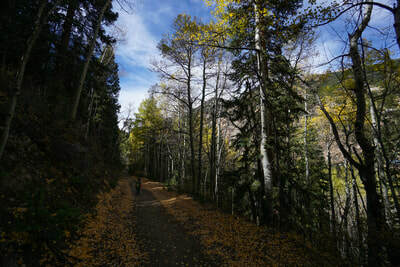 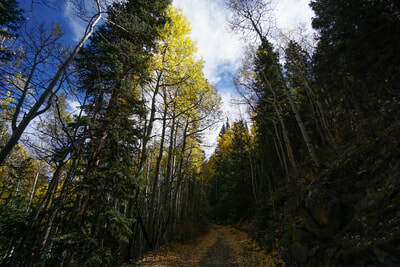 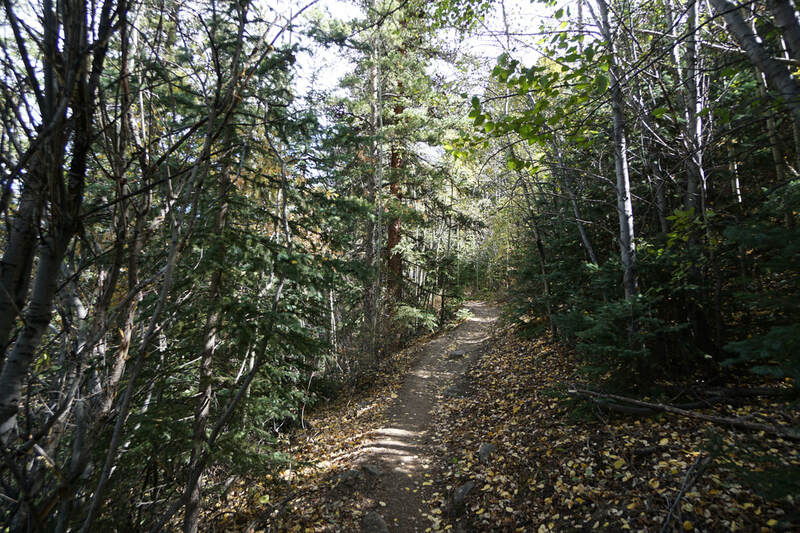 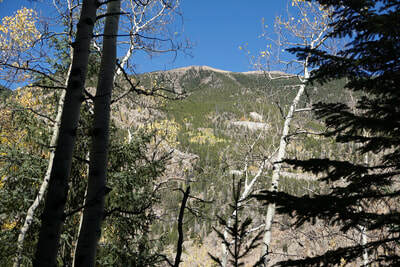 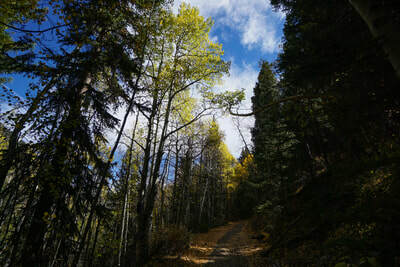 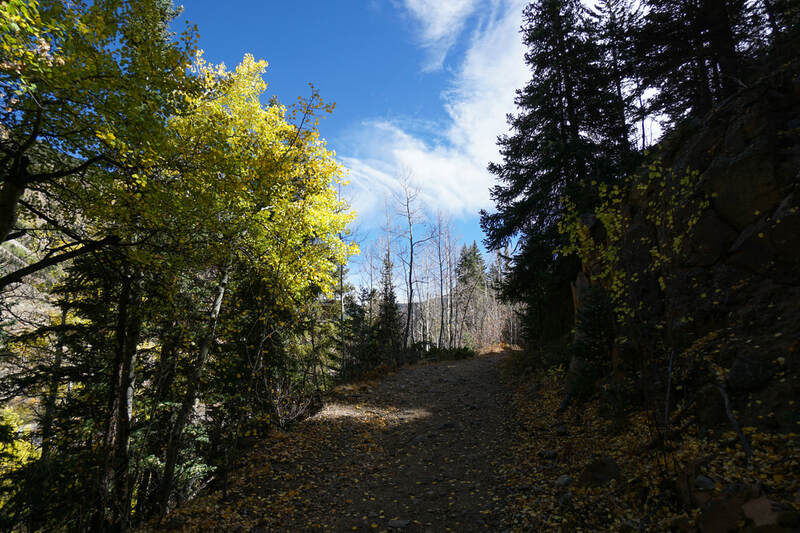 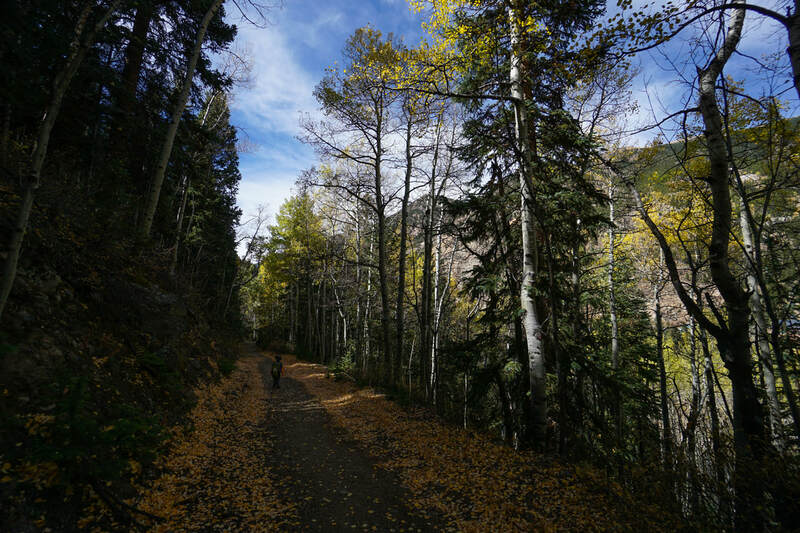 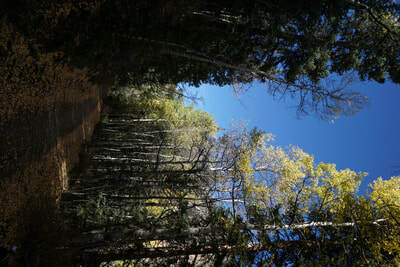 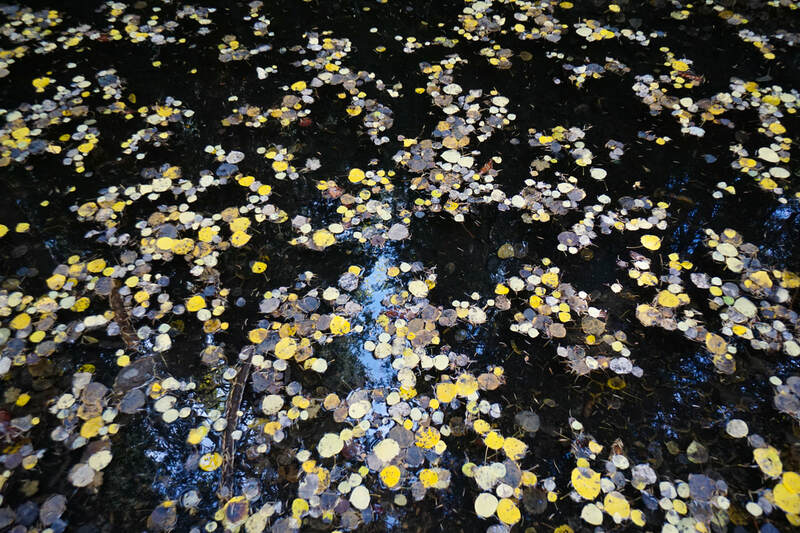 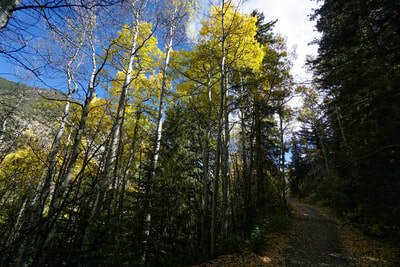 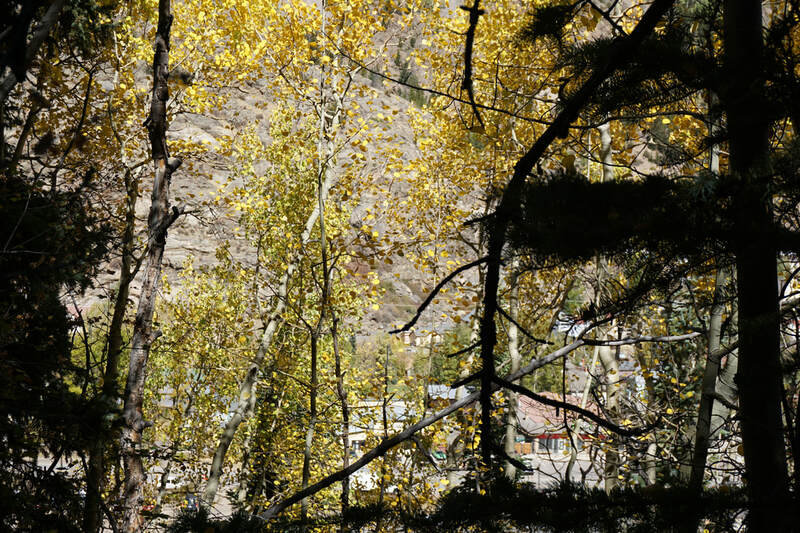 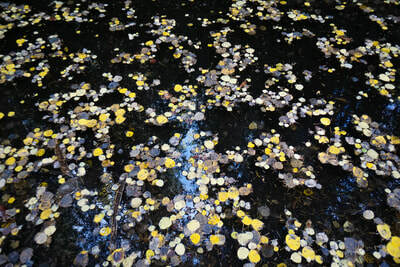 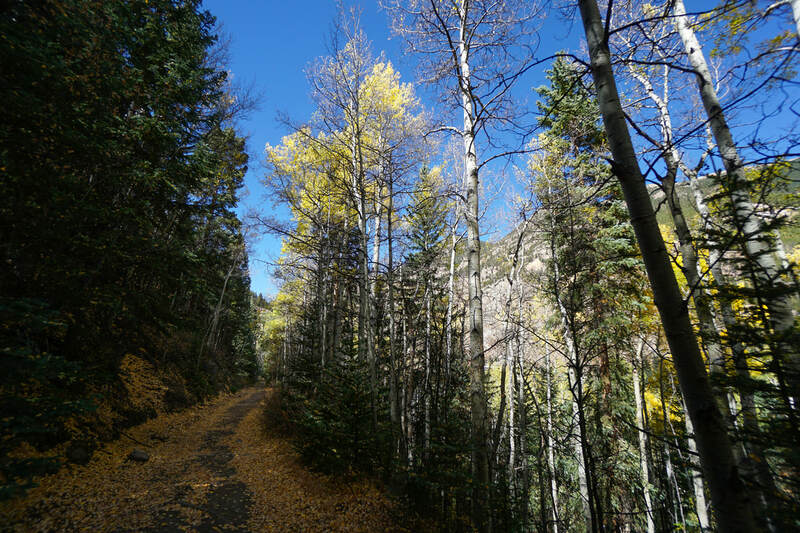 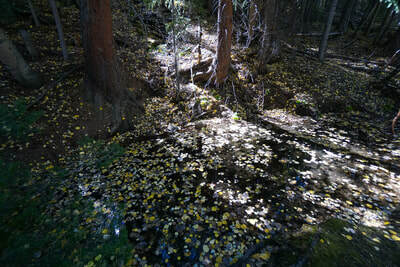 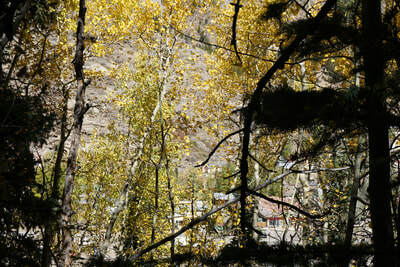 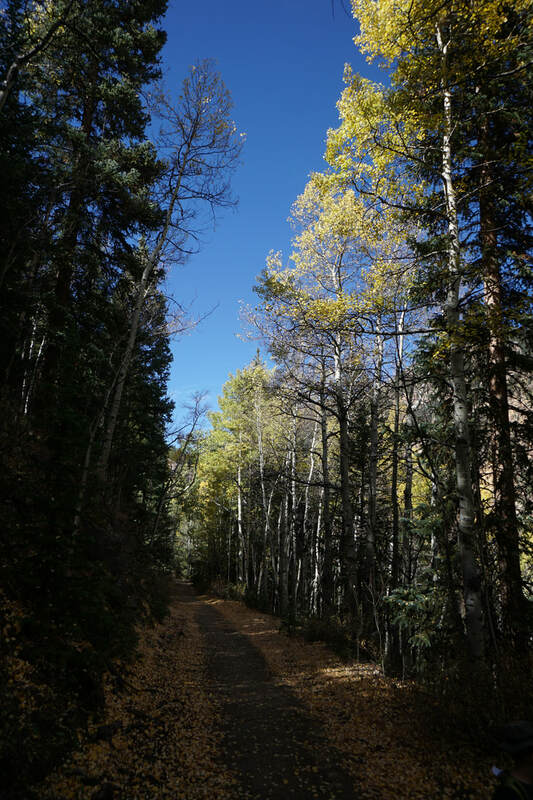 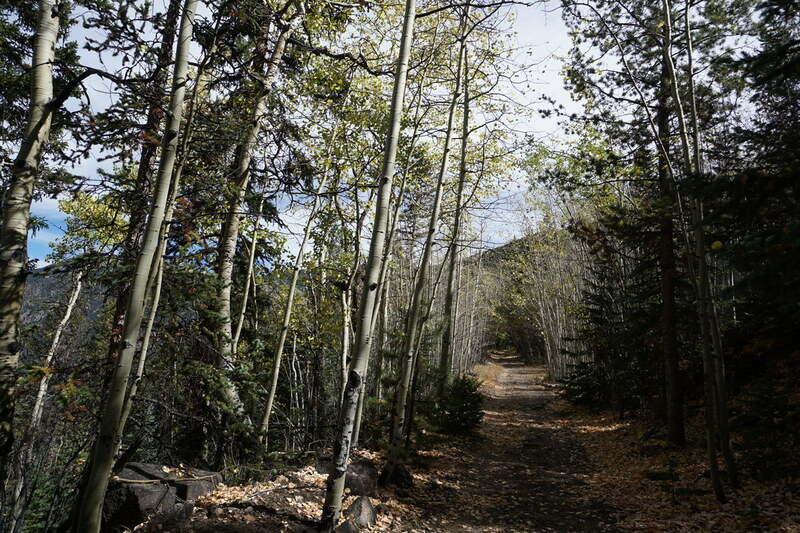 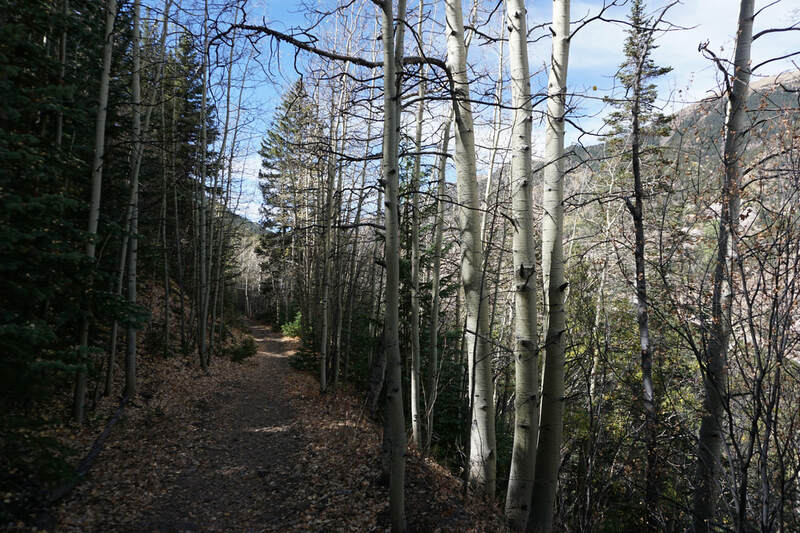 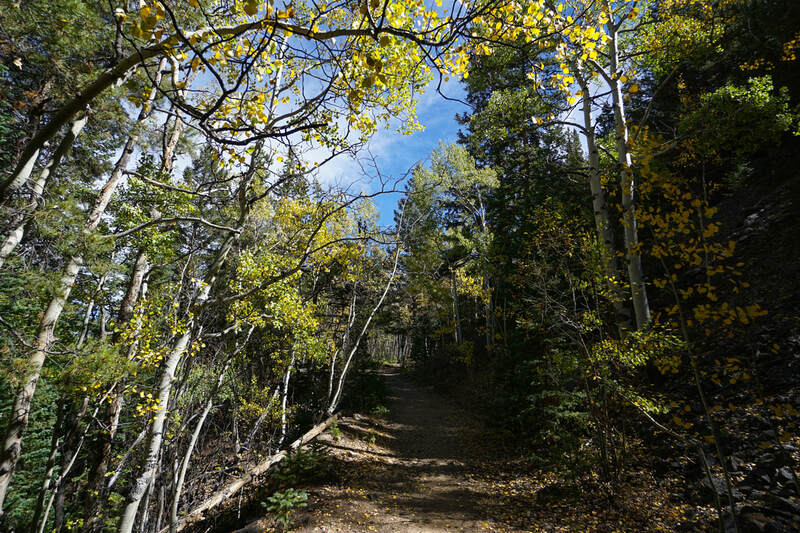 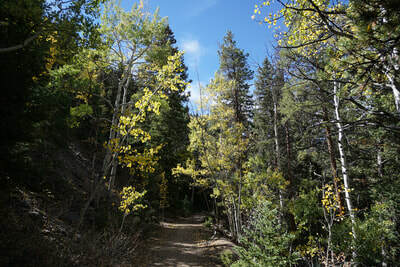 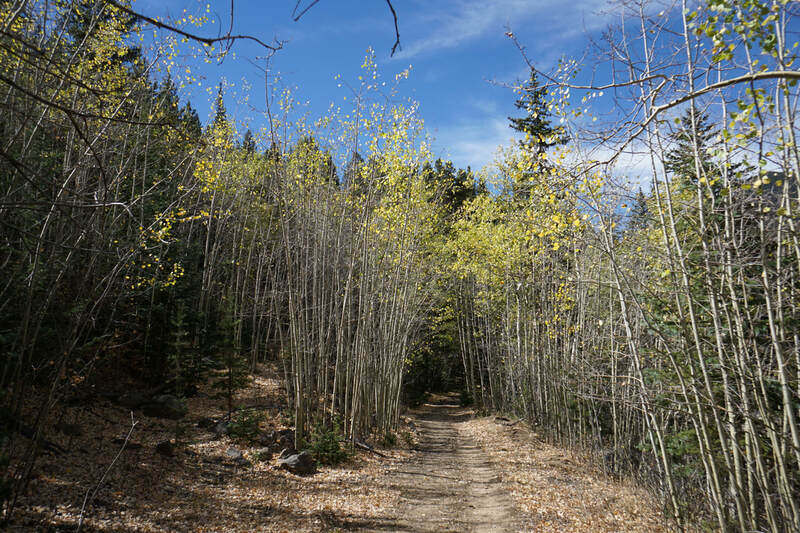 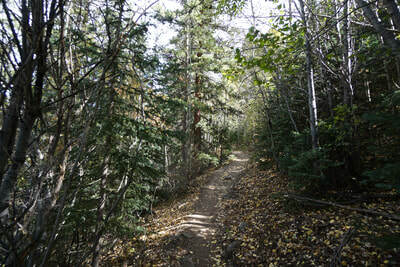 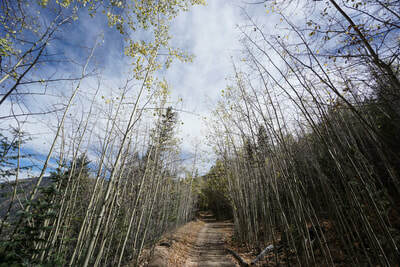 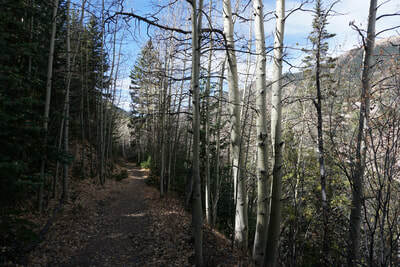 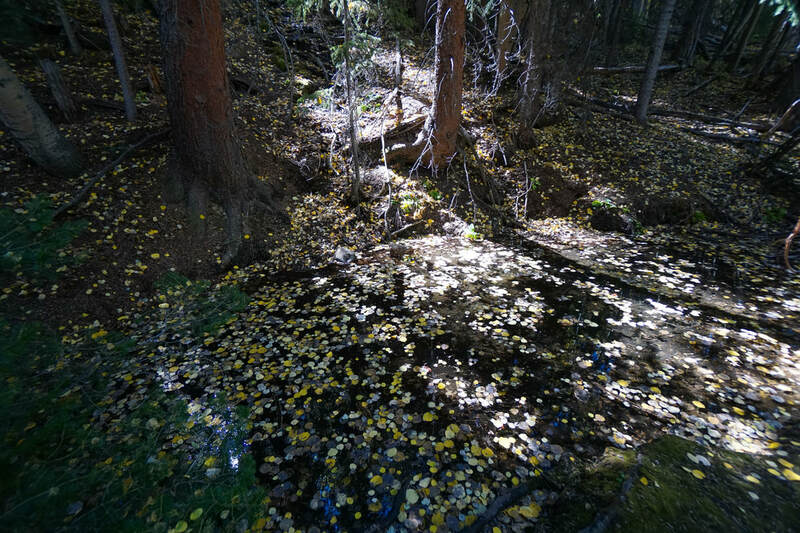 The trail runs through dense pine forest and plentiful aspen groves making it a wonderful hike for fall colors. 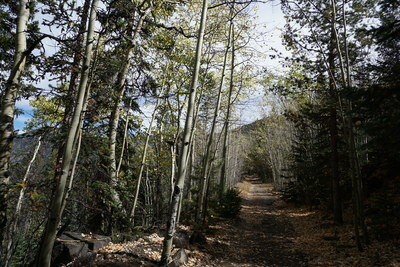 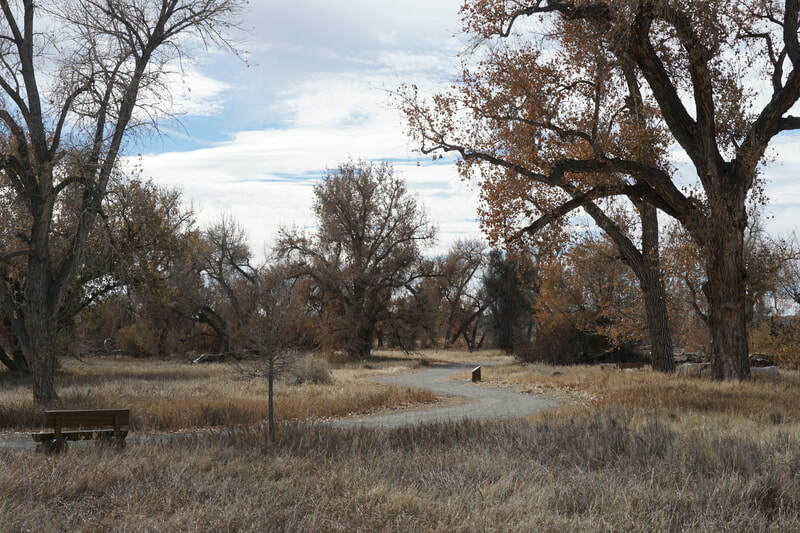 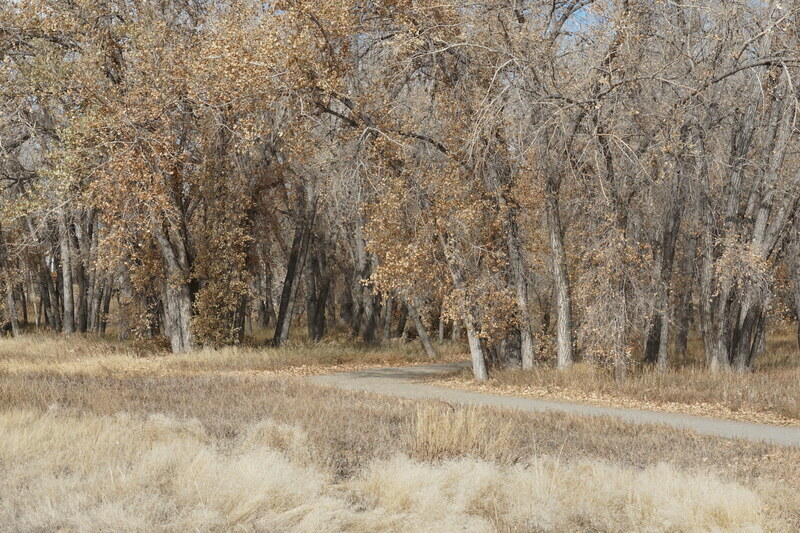 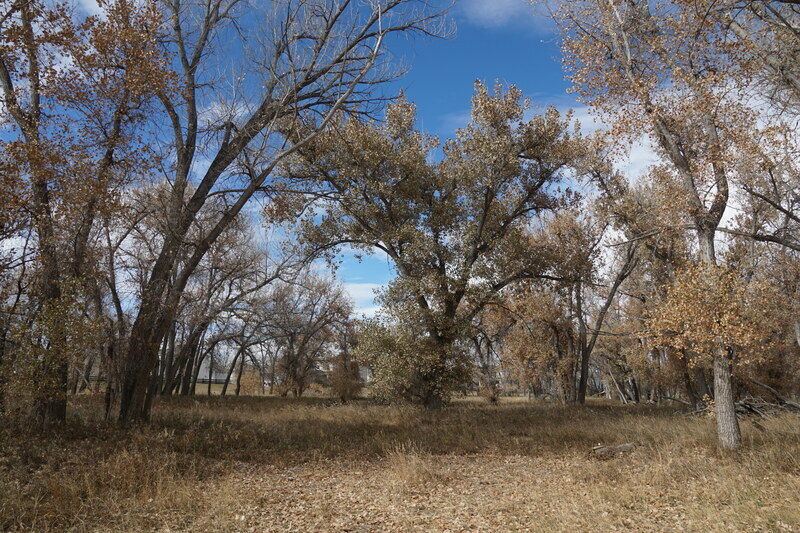 I visited the trail shortly after peak and while there was plenty of color to be found, many of the groves were already bare. 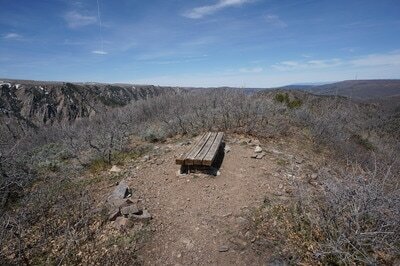 This also makes a good turn-around spot for a 2.3 mile hike. 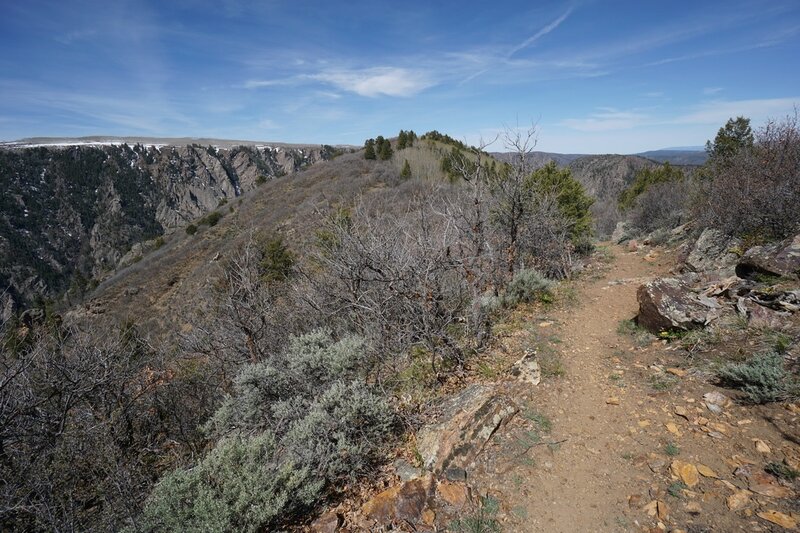 Those with more ambition, or hiking without little kiddos, can continue up the switchbacks for another 1.7 miles to Pavilion Point for great views of Georgetown and the mountains to the east.